PLUS is an education programme for the 5th to 8th grade on violence and addiction prevention based on the life skills approach. 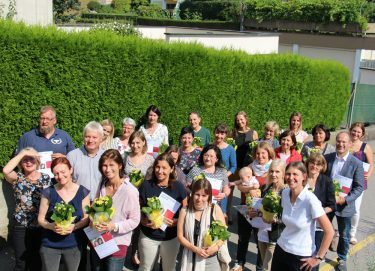 In order to use the education programme the teachers have to complete a 4-years-training, developed and offered by euro nets Austrian partner, institute for addiction prevention in Upper Austria. The next course will start in autumn 2018. The Upper Austrian Healthcare Fund supports PLUS financially. On June 26, 2018, the closing ceremony of the sixth PLUS course took place at the institute for addiction prevention in Linz. In total 55 AHS and NMS teachers finished the additional training on the subject of violence and addiction prevention. The final certificates were awarded by Mag. Ingrid Rabeder-Fink.